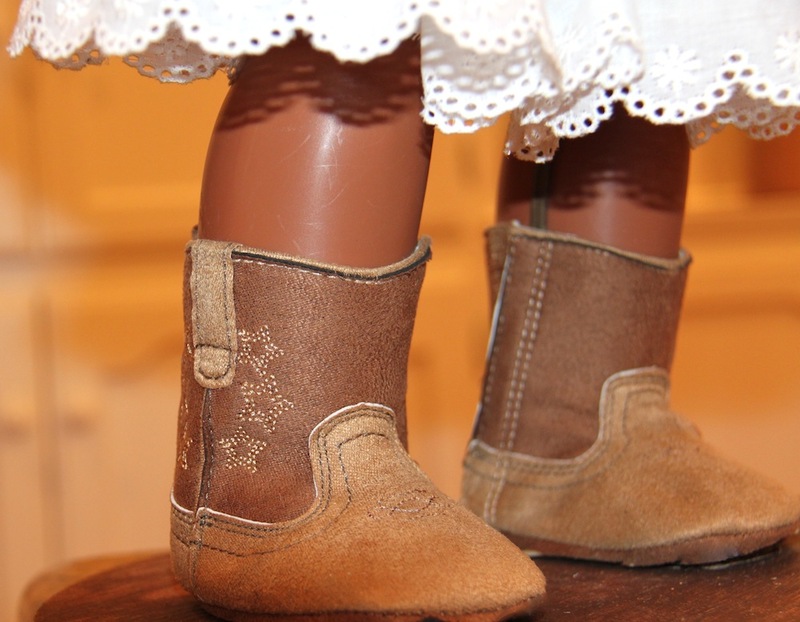 Converting these baby boots to doll boots was super easy. This page has all the details on this boot conversion. 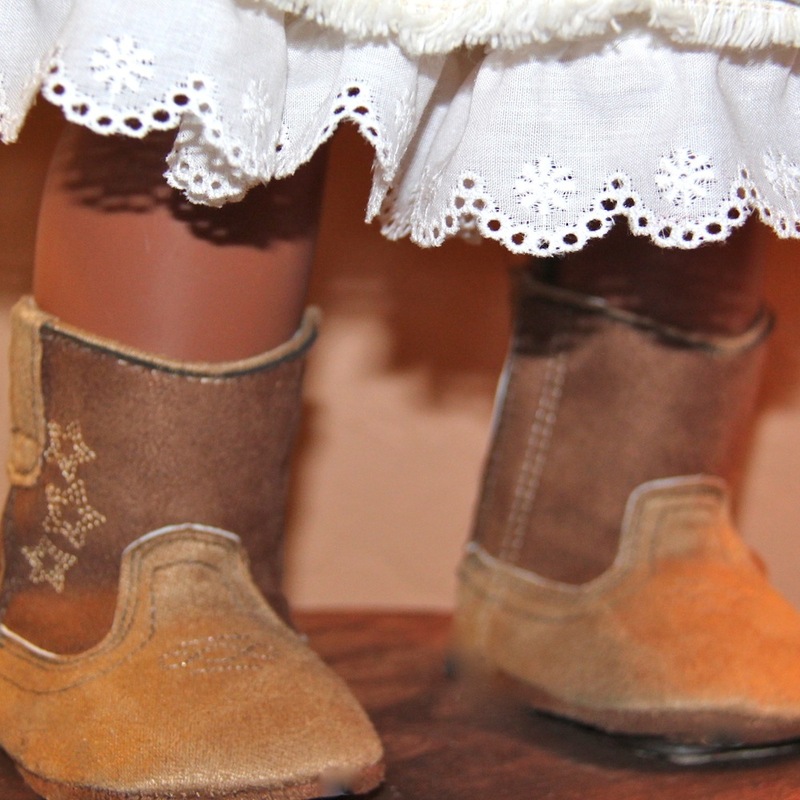 Miss Dolly's boots went right over these shoes. She is a doll from the 1950's before the days of screw guns so her feet were nailed to the round wood base. 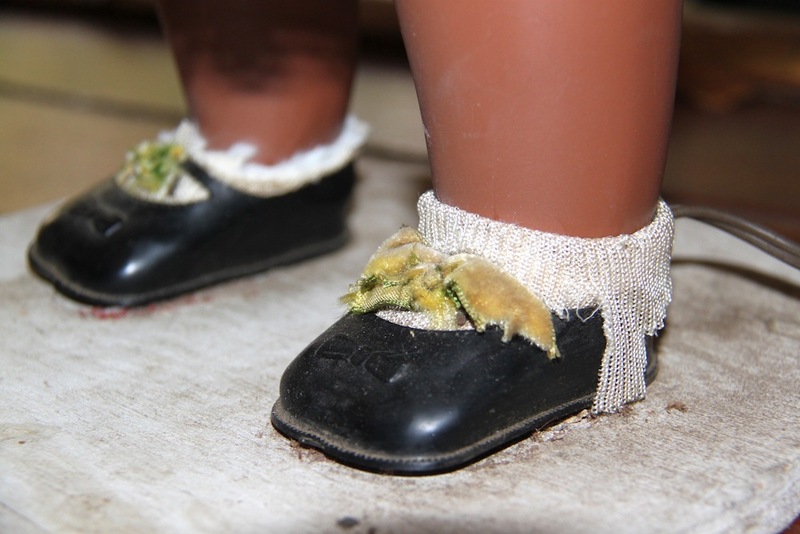 To remove these old rusty nails would have possibly destroyed her feet so we opted for cutting off the old socks and covering with new boots originally made for a baby. 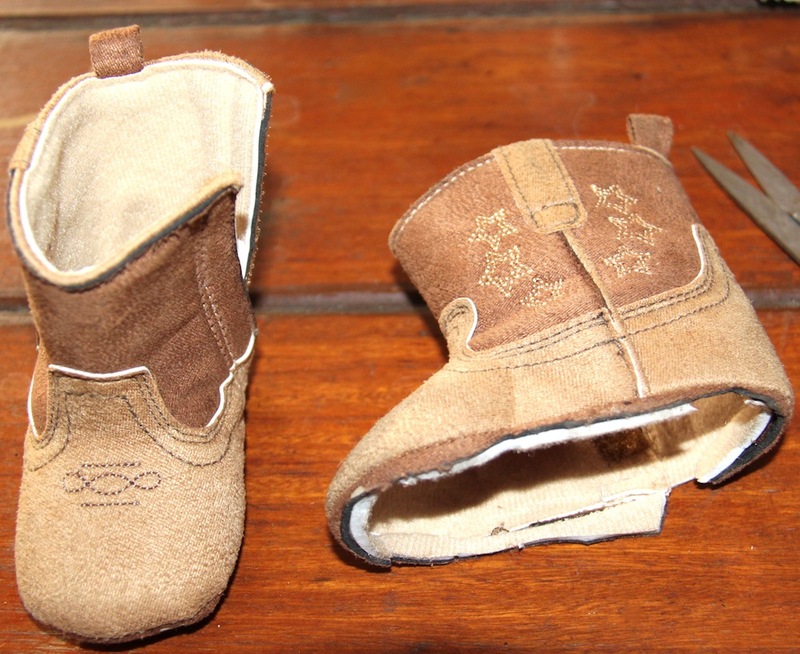 Yes baby boots in the smallest size we could find. 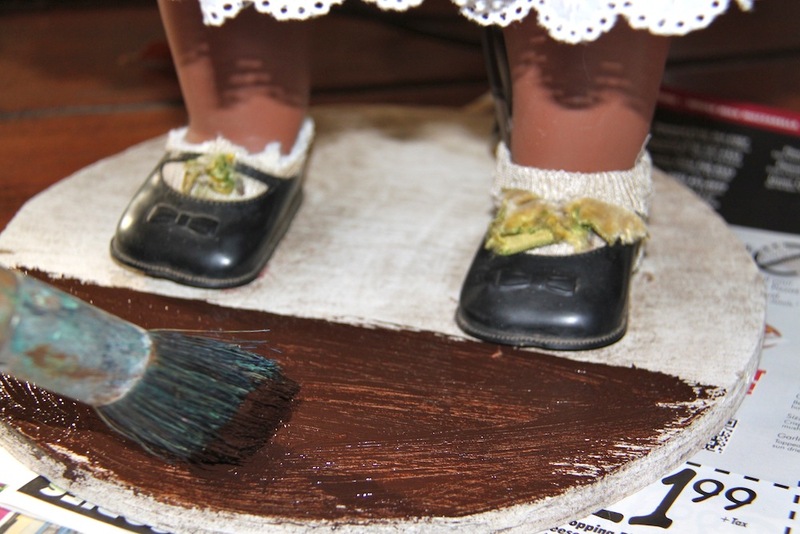 First a gentle cleaning of Miss Dolly, including the wooden base, shoes and socks, Then the excess fabric from the very old brittle socks was cut away to make room for the boots. Last, before adding boots, the wood base was painted with an ordinary left over brown paint. After several attempts to find the right size, finally these baby boots were found at Marshall's for only $3. First lots of measuring to make sure they would fit, then I cut the bottom out and wrapped them around her feet. These boots had velcro closures built in so it worked out well. All in all it went pretty quick and easy. Thinking about it took longer than the actual doing. These boots can easily be removed and changed for a new look too. Miss Dolly ready for her close up! 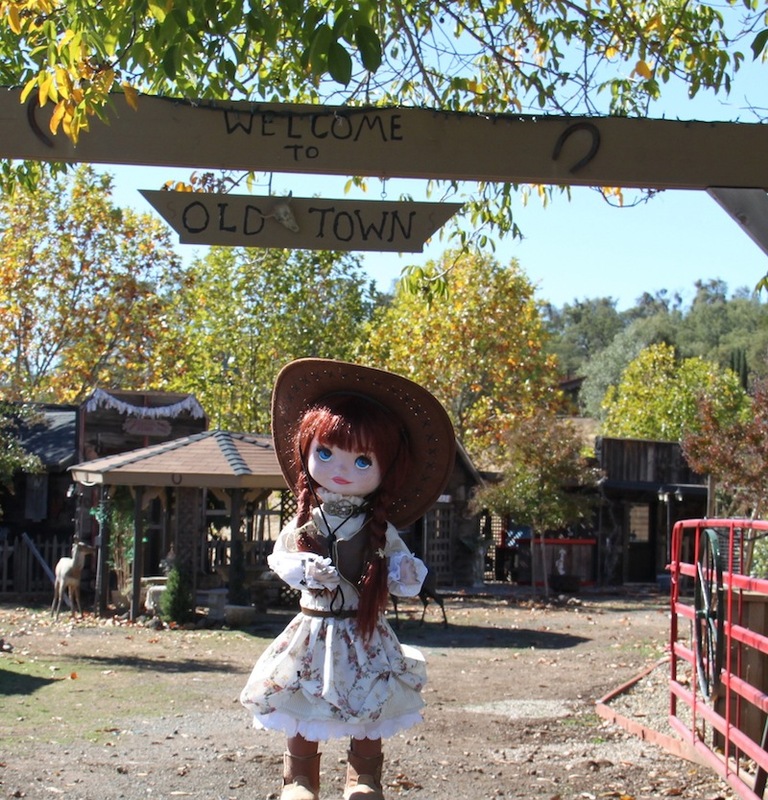 Miss Dolly is a cute little cowgirl ready for the ranch!